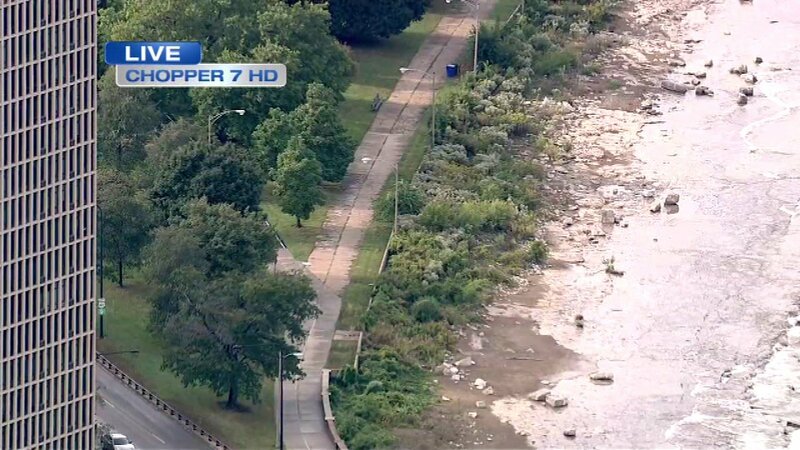 CHICAGO (WLS) -- Police are issuing an alert after a woman reported being attacked while jogging on the lakefront trail. The woman told officers it happened last Thursday around 9:45 p.m. in the area of South Shore Drive and 68th Street. The jogger said a man ran up behind her, grabbed her and then shoved her into a fence while attempting to sexually assault her. The suspect is described as a 5-foot-9 to 5-foot-10 black male with large picture tattoos on his left forearm and possibly on his right forearm. He was wearing a gray t-shirt with a sports brand emblem, green camouflage knee length shorts, dark socks and black and white slip on sandals. Anyone with any information can contact the Bureau of Detectives - Area Control at (312) 747-8380.